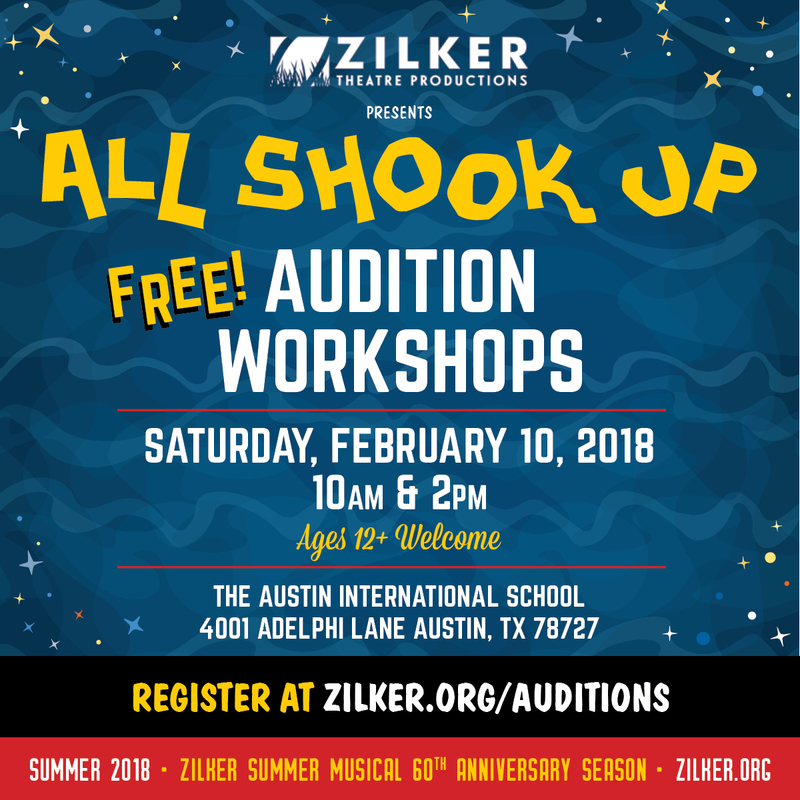 At our February 10th workshop, members of the community (ages 12+) were invited to meet All Shook Up’s creative team, and learn how to prepare to audition for the 60th Anniversary Zilker Summer Musical. The ZTP team was excited to offer our newsletter subscribers an exclusive 24 hours of priority access to sign-up for ZTP’s FREE Audition Workshops before the general public. Become a subscriber and don’t miss your early bird spot in 2019! Meet the Director to get tips for successful musical theatre auditions. Learn actual dance combinations with show choreographers. Waitlist: If you are on the waitlist, you will receive an email confirmation only if a spot opens up. Auditions typically begin in March: You may sign-up to audition even if you do not attend an Audition Workshop. Callbacks will be by invitation-only. Newsletter subscriber perk: Sign-ups for the Audition Workshops in February, and the auditions in March, will be opened *exclusively* to ZTP Insiders and ZTP’s newsletter subscribers for 24 hours before the general public.